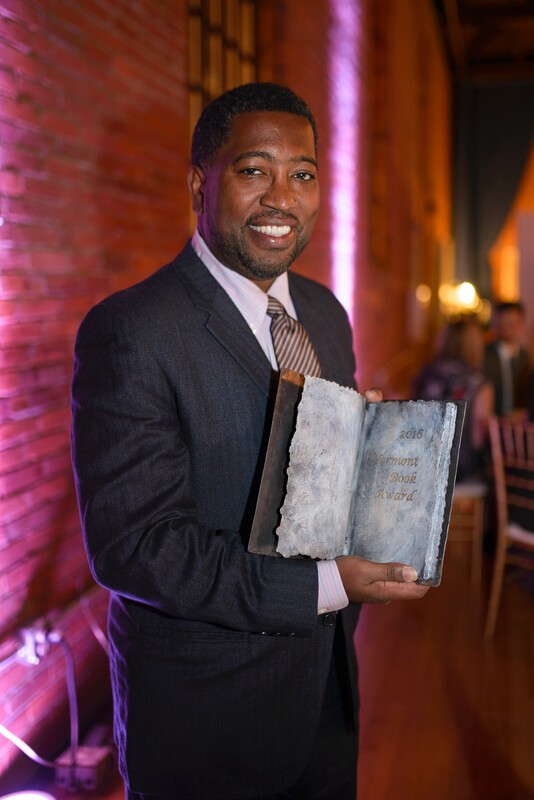 On Saturday night, at a gala on its Montpelier campus, the Vermont College of Fine Arts awarded the second annual Vermont Book Award to poet and University of Vermont professor Major Jackson for his latest collection, Roll Deep. The widely published Jackson is the Harvard Review's poetry editor and the recipient of a slew of literary honors; his book Leaving Saturn was a finalist for the National Book Critics Circle Award. A lengthy 2004 Seven Days profile of Jackson by David Warner describes his work as "lin[ing] up between Langston Hughes and hip-hop." The piece quotes the poet's then-department head at UVM, Robyn Warhol, as saying, "I'm convinced that Jackson is going to be one of the voices they study when poetry of the early 21st century is written about." Also in the profile, Jackson spoke to Warner of his experiences with racism and racial profiling, in Vermont and elsewhere, and of the "suspicion" he has sometimes encountered as a middle-class black intellectual. Jackson received $5,000 and a trophy designed by Vermont artist Sabrina Fadial. VCFA describes the prize as "created to honor a state uniquely suited for creative enterprise." This year's nine finalists, all Vermonters, represented a range of genres: children's literature (Jo Knowles, Tamara Ellis Smith), poetry (Jackson, David Huddle, Seven Days contributing writer Julia Shipley), creative nonfiction (Sean Prentiss) and novels (Castle Freeman Jr., Jeffrey Lent, Jennifer McMahon). (Click the links for our reviews of their nominated works.) Among the seven judges were New England Review editor Carolyn Kuebler, award-winning YA novelist Kekla Magoon, poet Elizabeth Powell and Vermont Public radio host Mitch Wertlieb. *Correction: September 27, 2016: An earlier version of this story quoted Jackson with a slightly different wording that appeared in the VCFA press release. Jackson contacted Seven Days to correct his quote.